Artist Statement: As a Fiber Artist, Interior Designer and Certified ILR-SD Llama Fleece Judge I have been involved with fiber since my first purchase of Forrester, llama, in 1996. Since then Forrest Ridge Llamas and Alpacas houses 4 llamas, 2 alpacas and 1 sheep for a variety of natural eco-friendly fibers. 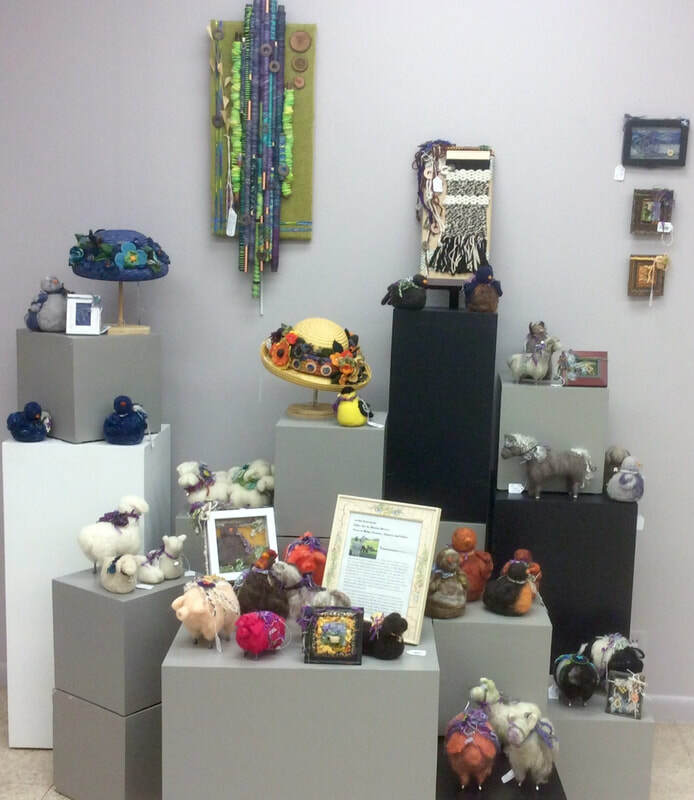 My specialty is Needle Felted soft sculptures, and Fiber Art. I love to create with natural fibers in wet felted, braided, lap loom weavings, hand spun yarn, art felt paper, hand dyed and dry felted pieces together to create fiber art pieces with soft expression and depth. All of my designs are one-of-a-kind and are inspired by nature and our coulee region surroundings. All fiber has a purpose and my passion is too work with natural fleeces and be part of a heritage culture of handcraft pieces of “Fiber Art”. Fiber education has been through classes at tri –county Fiber Studios and Llama Farms, Jefferson and Kentucky Sheep and Wool Festival, WTC Junior College, as well as Minnesota and Wisconsin Llama Conferences. I am a member of Three Rivers Spinning and Weaving Guild, Cameron Park Market and Midwest Lama Association. My Art Fiber booth received the People’s Choice Award at ArtSpire in La Crosse, WI 2014.